Product description: Katihar to Kennedy is written by Sanjay kumar and published by Vani prakashan. 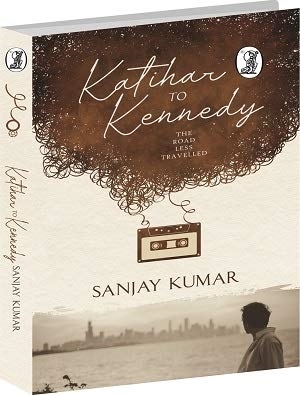 Buy Katihar to Kennedy by Sanjay kumar from markmybook.com. An online bokstore for all kind of fiction, non fiction books and novels of English, Hindi & other Indian Languages. Sanjay Kumar currently serves as the India Country Director of The Lakshmi Mittal and Family South Asia Institute, Harvard University. Prior to this, he was involved at leadership positions with SEWA Movement for about two decades. Handling twin task of establishing SEWA in Delhi and overseeing the work of SEWA Bharat, National Federation of SEWA organizations, as its Director, he led several programs including advocacy, microfinance, livelihoods, waste-management, government linkages and skills for youth. As a keen photographer, his inspiring images on the lives of women workers in India was exhibited at the House of Commons, London. He has been writing Op-eds on social issues in the National Dailies. He is also voluntarily serving as a Senior Advisory Board Member for the SPEAK Mentorship, USA. Sanjay Kumar holds a PhD from Jawaharlal Nehru University, a Masters in Political Science from University of Delhi, and a Mid-Career Master's in Public Administration as a Mason Fellow from the Harvard Kennedy School. Alongside, he holds a PG diploma in 'Social Security for the Poor' from ISS, The Hague. Katihar to Kennedy – the phrase might suggest grandiose intent, but this bookis really just about the lessons I learned – from failures as well as from moments of triumph. Lessons I learned while engaged most intimately with harsh socio-economic realities, and contrasts I experienced, moving between cities, institutions, and job roles. It is also a book of honest confrontation, of my own ego and pride.